Offering the widest range of dispensing tips for use with syringe barrels, hand bottles, metering valves and robots. All tips are industrial grade safe for use to 100 psi air pressures and are certified silicone-free. With a luer lock secure attachment for leak free dispensing. Polypropylene tips include a plastic luer locking hub, with polypropylene tubing based on gauge size. They are supplied in 1.5 inch lengths. These tips are excellent for dispensing into small areas or through holes. The luer locking thread prevents the tip from working loose under pressure. 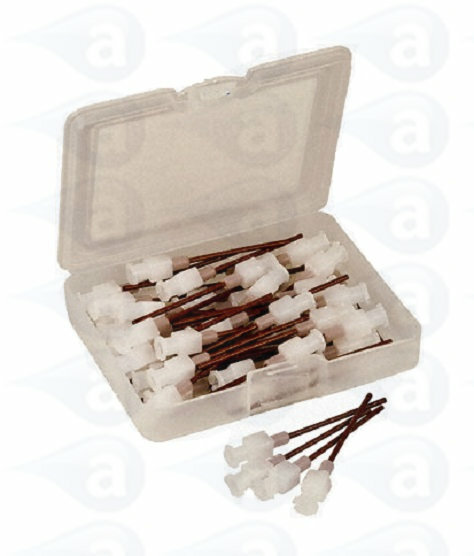 Flexible needle tips for use with most fluids and especially good for reactive adhesives and moisture sensitive fluids such as cyanoacrylate instant glues and most solvent based fluids. The flexible shaft prevents damage to sensitive substrates. Supplied in sealed packs of 50. Bulk packs of 1000 are available on request. All products ship from stock. In sealed packs of 50 or in bulk quantities available. 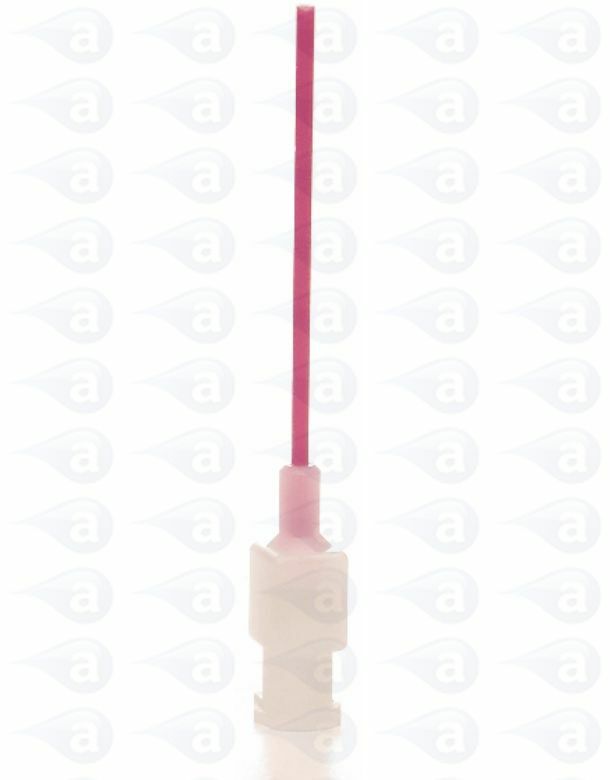 Polypro colour coded flexible shaft to polypro luer lock white hub. Certified silicone-free and industrial grade safe. Supplied in sealed packs. Typical Applications:- Deposits of glues, solvent based glues, primers, activators, inks, paints, oils, lubricants, Cyanoacrylate adhesives, greases, general adhesive applications. Please select product ... 15 GA Polypro Tip 1.5" 16 GA Polypro Tip 1.5" 18 GA Polypro Tip 1.5" 20 GA Polypro Tip 1.5" 22 GA Polypro Tip 1.5" 25 GA Polypro Tip 1.5"